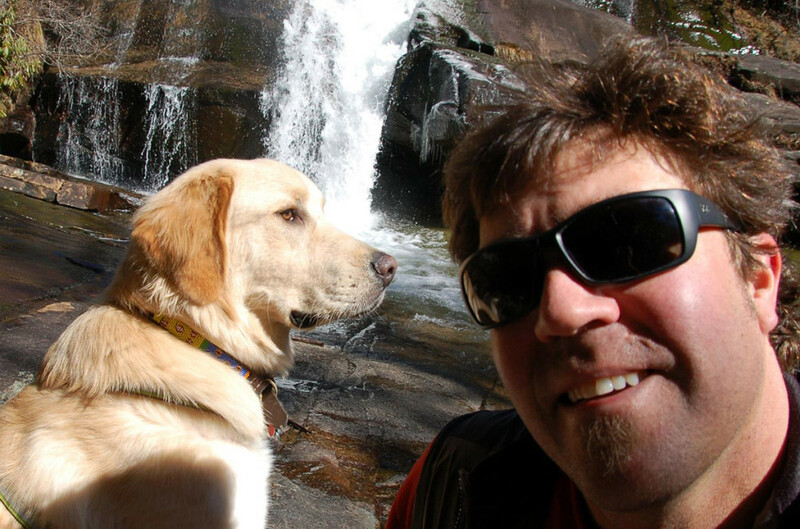 BD would like to introduce R. Hanes Hoffman Jr., of Bluewater Copper Works as our next BD Artist Spotlight. A:I grew up in North Carolina, but was lucky to travel the world as a young man, searching for myself I guess, but now I’m so happy to be back in North Carolina again. Q:What form does your art take? A:Well I pretty much work with copper and flame. 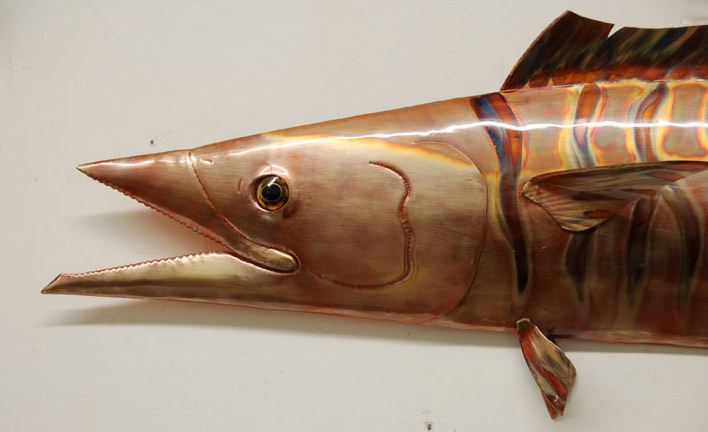 Copper is not only beautiful and rich in color when heated, but it can be manipulated with hand tools while other metals are too hard to work by hand. A:Well I have always loved fishing of all kinds. 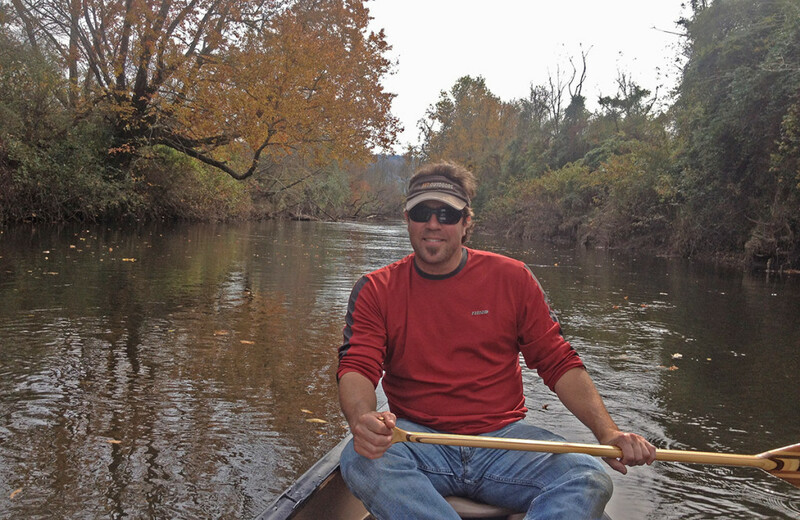 I’ve spent quite a bit of time offshore fishing though now I tend to do more river fishing because of where I live. 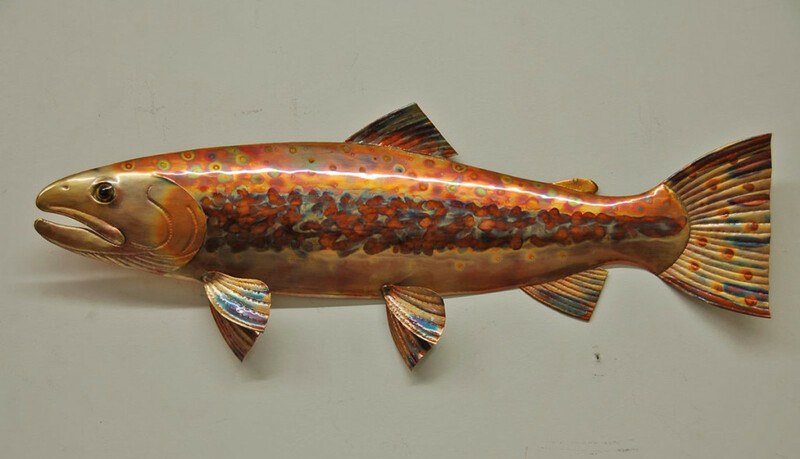 It is often the inspiration and research side of my artwork, so it is directly related, as I tend to create mostly fish and marine animals. 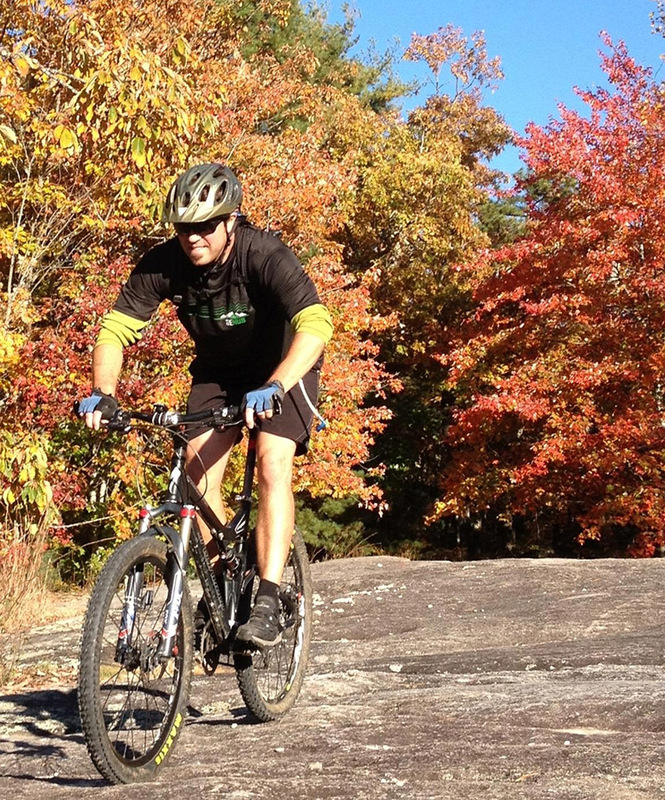 I’ve also enjoyed mountain biking for over 30 years and I’m in a prime location for that too. A:Well in 1997, I got a job in a metal shop doing basic metal work, but the owner took the time to teach me some techniques that I am still evolving these many years later. Copper has so much color inside that is pulled out with heat, but it is not an exact science. Timing is everything because you have to anticipate the moment the color is going to change and pull the heat back before it goes beyond what you wanted. Keeping the colors isolated is one of the biggest challenges. Many factors affect the results, like the type of gas you are using in the torch or even the weather. I can tell you that a cool, drier day is a good day to work on copper. A:My art tends to evolve on its own and of course I also have to wear the marketing hat and produce the type of work that sells as well. 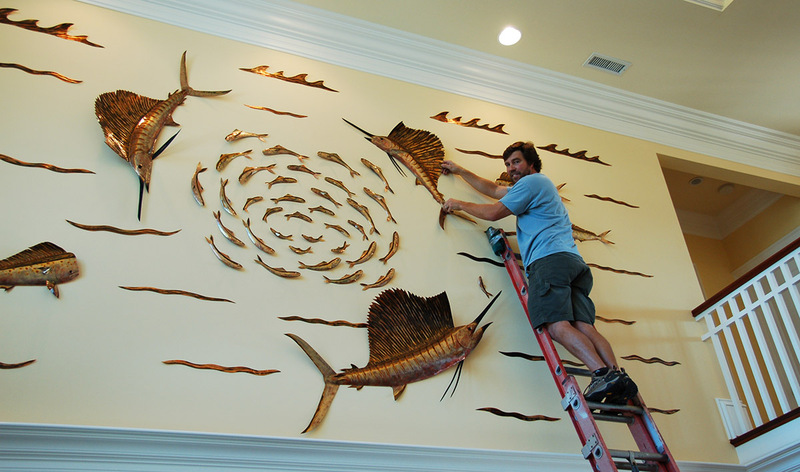 I’ve been to various events and been exposed to wider circles, which allowed me to meet and learn from the likes of Guy Harvey and many other great artists. 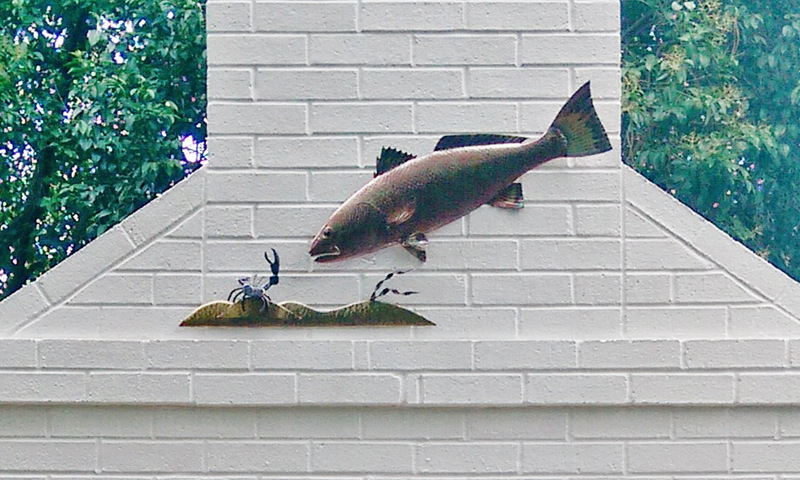 About ten years ago, I was commissioned to build some tournament trophies. This has turned into a large focus for my art and business. It has worked well on multiple levels. 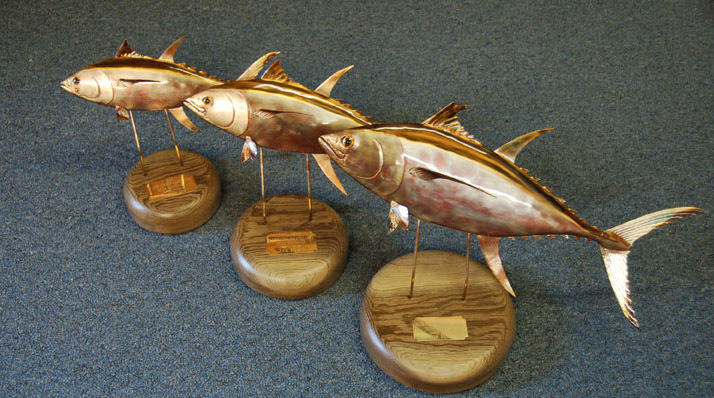 The trophies are unique and therefore really admired and appreciated by the anglers who see them or win one. This has led to great exposure and has spawned many commission pieces after the fact. 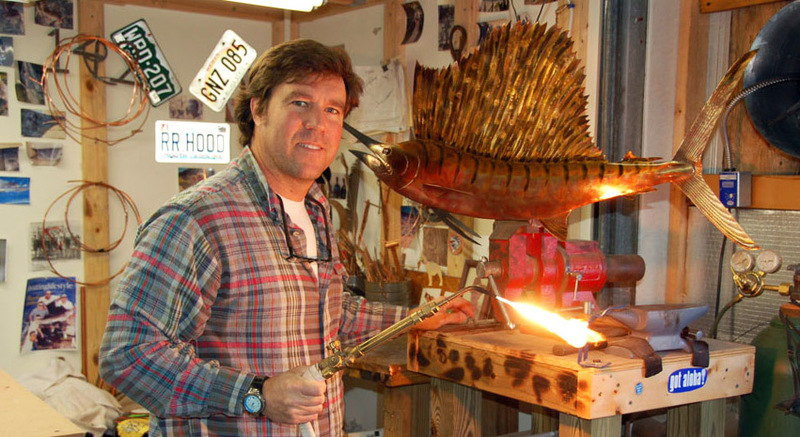 My underlying goal is to continue to develop my techniques and apply it to my current methods of flame and hammers. Q:Does the copper turn green down the road? A:It would if I did not clear-coat them when I’m finished. Some people have wanted it to turn green with time, but most pieces are preserved with a long lasting clear-coat that I spray on at the end to preserve the colors. A:I consider myself a full on conservationists and therefore I don’t do kill tournaments. 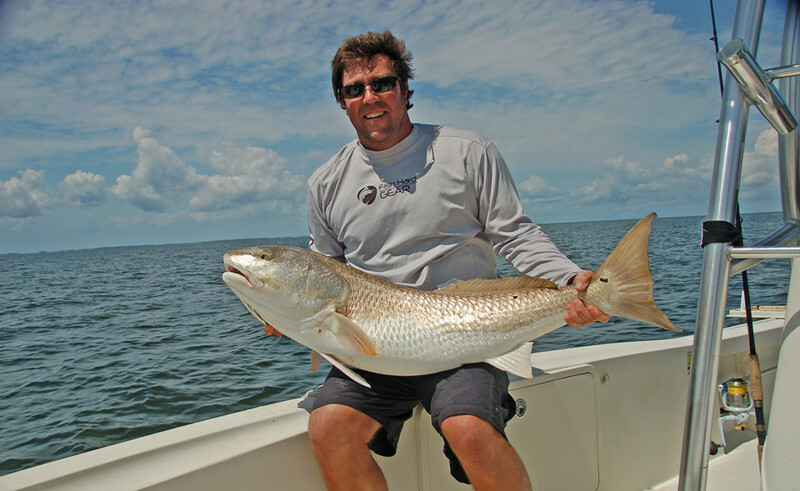 I hope to spread the word about respecting our waters and the many creatures in it. We need to practice conservation and responsible fishing. 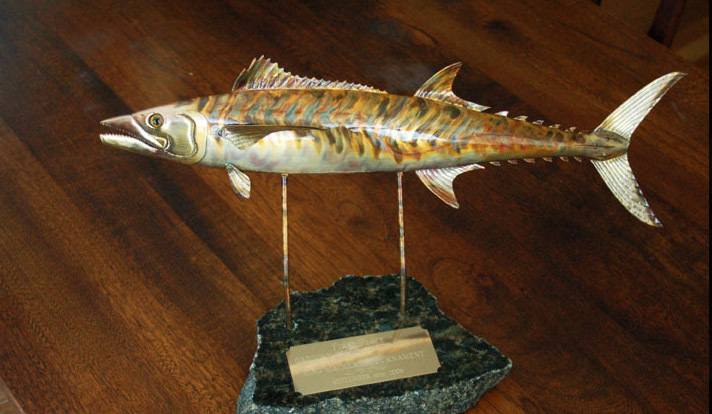 A:Hands down, my hardest project was a perpetual award I did for the IGFA about 10 years ago. 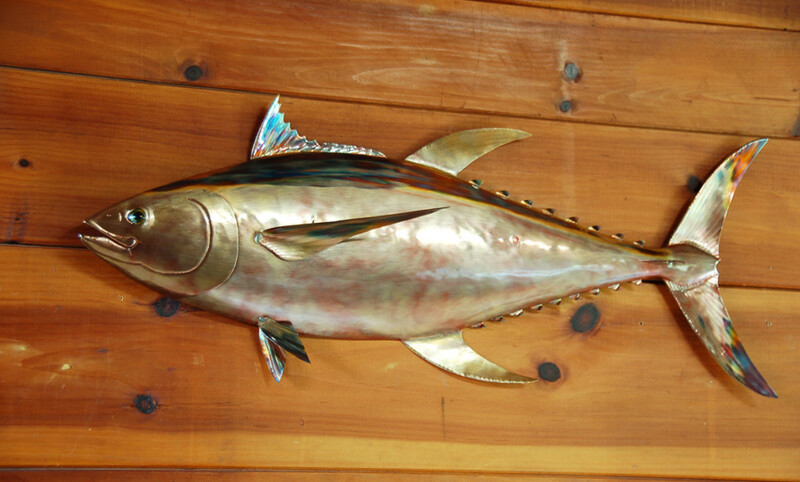 It was commissioned by Steve Sloan for an all release shark tournament and sits in the lobby of the Montauk Yacht Club. 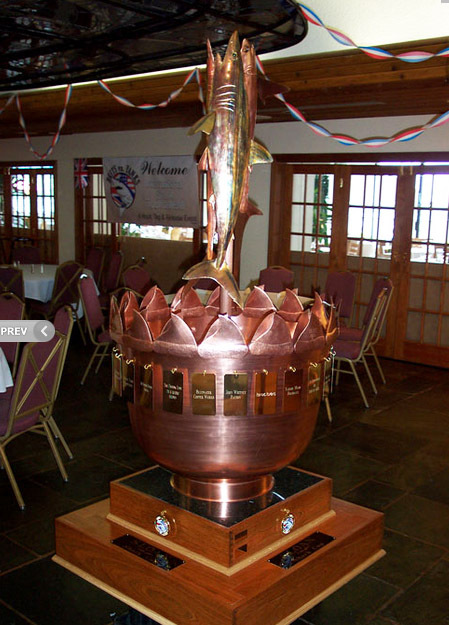 It was a very large trophy consisting of three species of shark above a large copper bowl and a wooden base. The bowl was the hardest part and took forever. The trophy ended up being in three sections and we shipped it up there and then I flew up to assemble it. Large collage type pieces with many components are also a challenge to visualize and physically hang with the right placement. A:I love to get feedback from my customers; that is a moment of great satisfaction for me. When they say things like, “it’s better than I expected” or “it’s more real than I imagined it could be”; I love it. I do a lot of research and commit considerable time to making my artwork realistic and true to life. When someone asks me how “how long did that take you?” I jokingly say 19-years, but in reality, that is what it has taken for me to learn the techniques I use today.